Rüdiger von Kirchmayr was born on 18 July 1921 at Klosterneuberg in Austria. In April 1941, Kirchmayr was attending Jagdfliegerschule 5. In summer 1941, he flew operational missions with 4./JFS 5 from Le Havre-Octeville, in support of JG 2 and JG 26 for the defence of France. 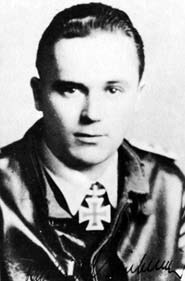 On 20 September, von Kirchmayr recorded his first victory when he shot down a RAF Spitfire fighter. Von Kirchmayr was transferred to Ergänzung-Jagdgruppe West in February 1942. He had accumulated five victories at this time. On 5 June 1942, von Kirchmayr transferred to 4./JG 1 operating from bases in Holland. On 17 April 1943, he was appointed Technische Offizier and attached to the Stabstaffel of II./JG 1. Von Kirchmayr was appointed Staffelkapitän of 5./JG 1 on 22 June 1943. Leutnant von Kirchmayr was to be particularly successful against the USAAF daylight bombing raids. He was shot down and wounded in aerial combat near Aachen in Fw 190 A-5 (W.Nr. 7333) “Yellow 5”on 1 December. By the end of 1943, Oberleutnant von Kirchmayr had 15 victories to his credit and had increased his tally to 35 by the time of the Allied invasion of Europe in early June 1944. However, not all his victories had been confirmed.  On 15 July 1944, von Kirchmayr transferred to the Stabsstaffel of II./JG 1. He was shot down on 13 August in aerial combat with USAAF P-51 fighters. He successfully crash-landed although he was wounded in the engagement. Von Kirchmayr was appointed Gruppenkommandeur of I./JG 11 on 1 October. He led the Gruppe to the Eastern front in January 1945 where it participated in a number of successful fighter bomber missions attacking bridges, motor vehicles and troop concentrations. Von Kirchmayr claimed the destruction of a tank and numerous trucks. Additionally, he claimed nine Russian Yak-9 fighters shot down, including three on 10 February and two on 12 February. Hauptmann von Kirchmayr was recommended for the award of the Ritterkreuz but was initially rejected. He was finally awarded the decoration sometime in April. In April he left JG 11 and became member of JV 44. 11:26~ B-17 5./JG 1 Minden-Hildesheim-Goslar, not confirmed? - B-17 5./JG 1 not confirmed? - P-51 Stab II./JG 1 not confirmed?